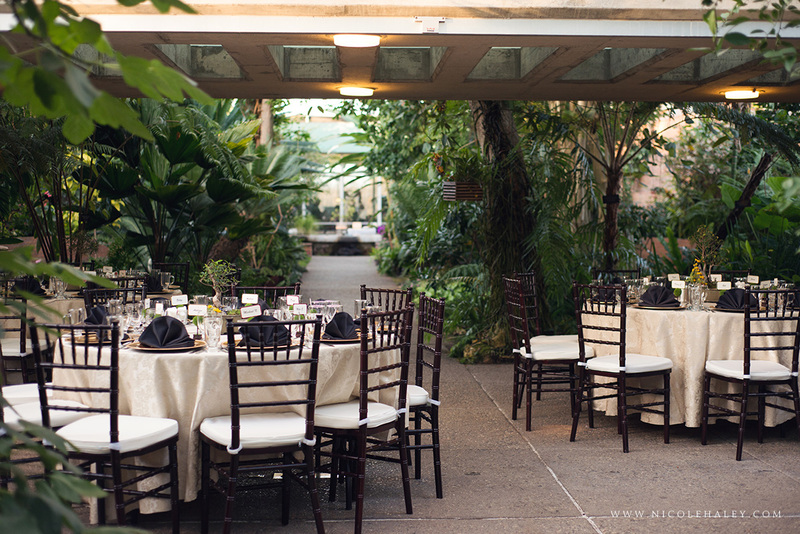 The conservatory contains a rich collection of plants from around the world. 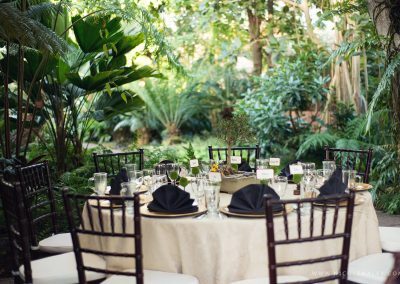 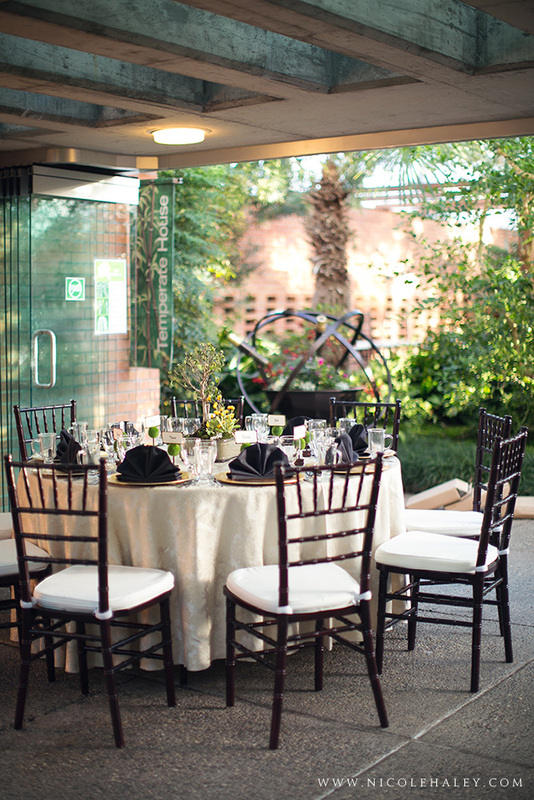 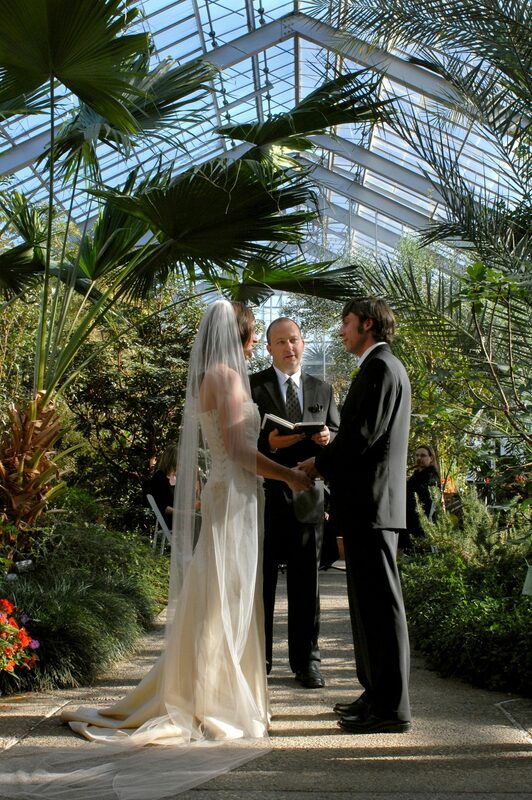 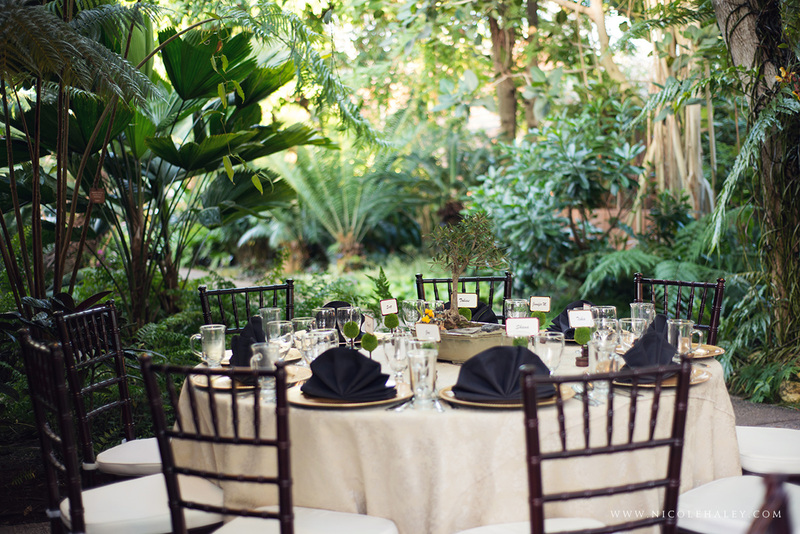 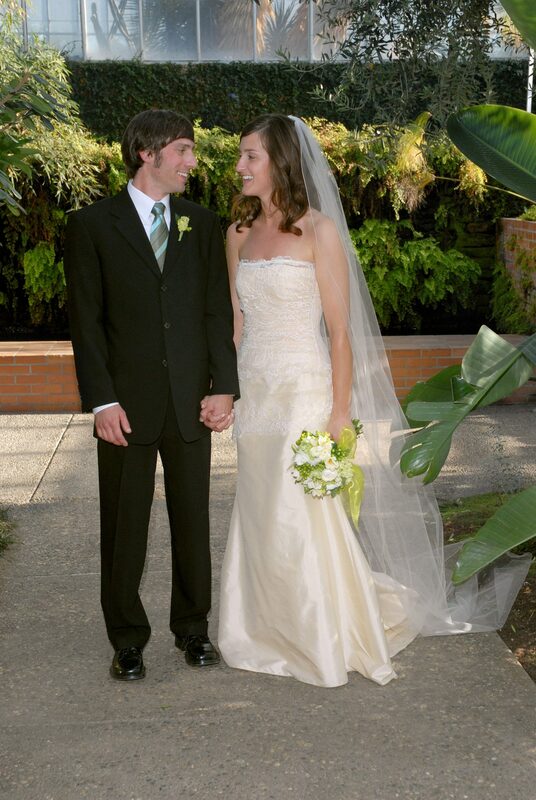 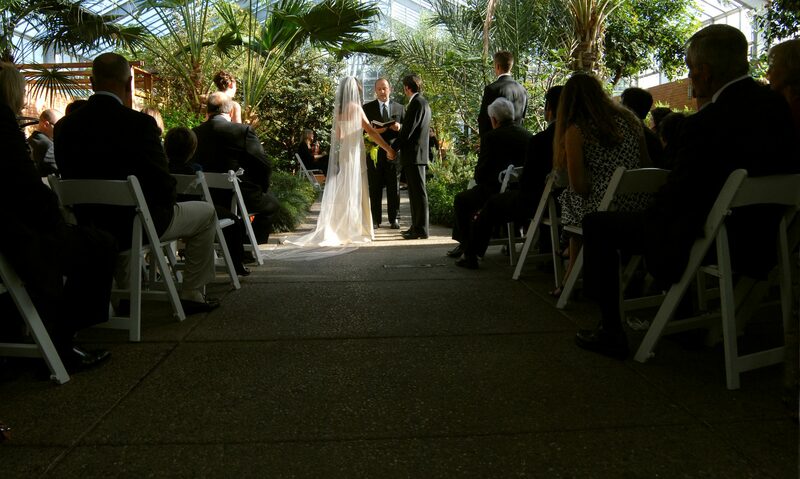 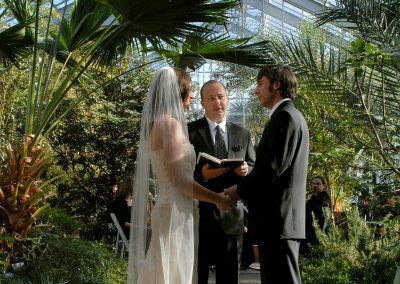 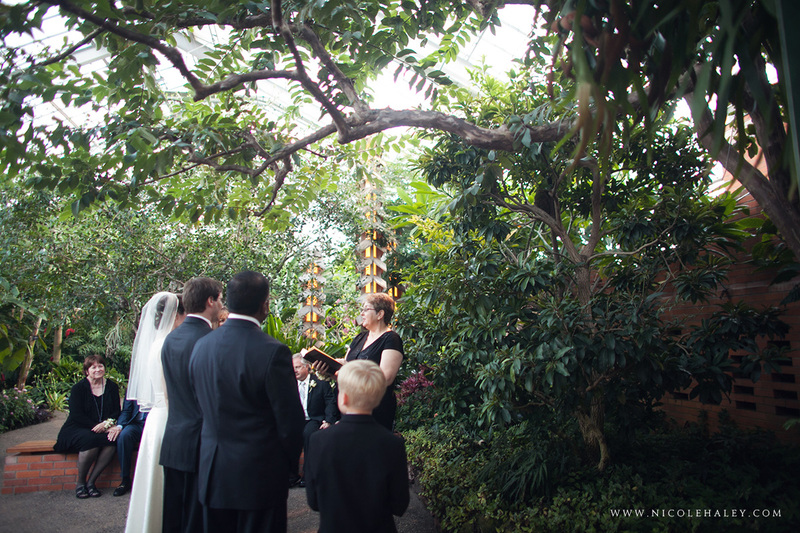 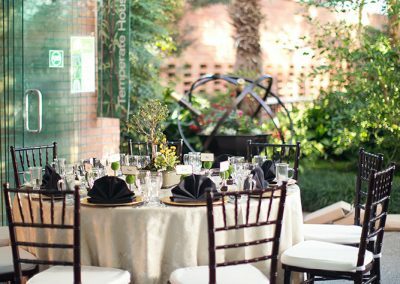 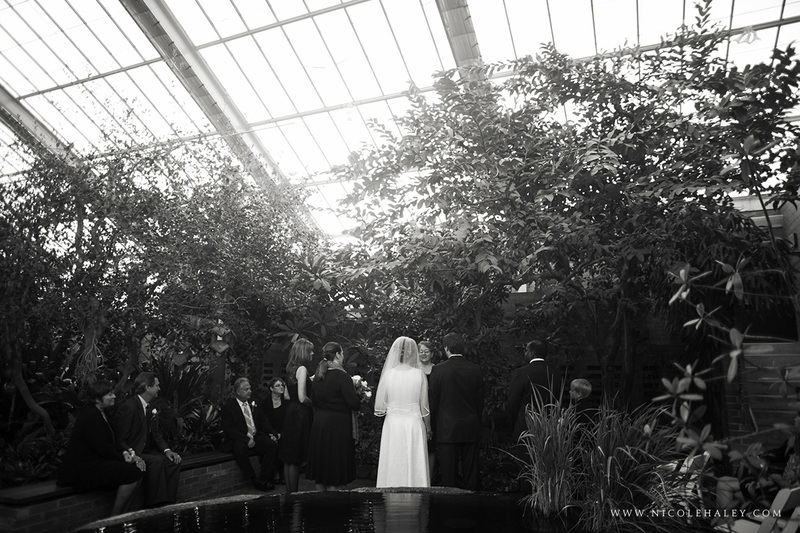 This densely planted lush tropical and temperate garden creates a fabulous atmosphere to any wedding. 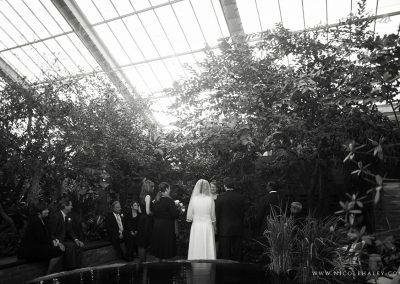 An intimate space, always warm whatever the weather, the Conservatory will hold up to 100 guests including the wedding party. 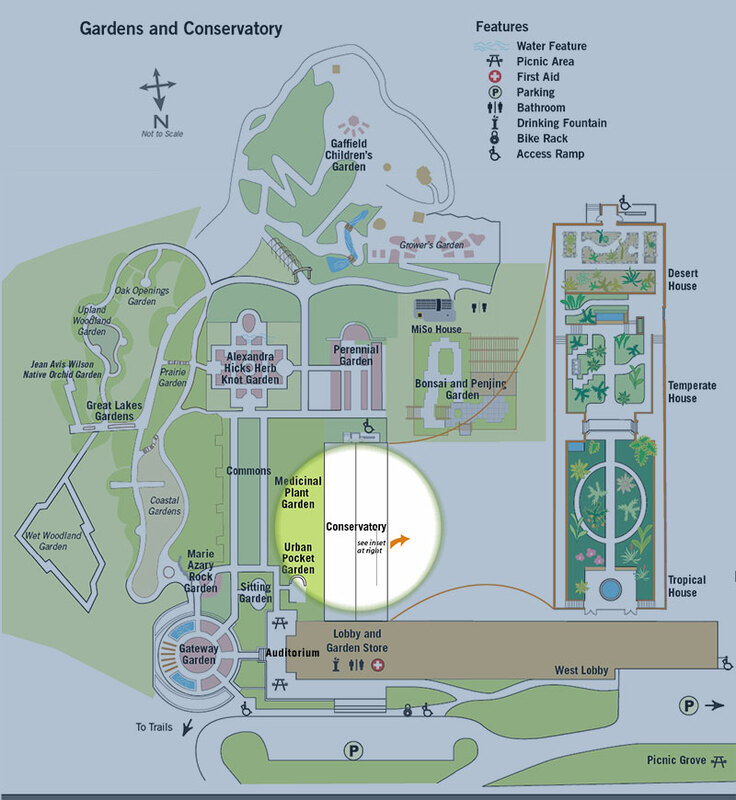 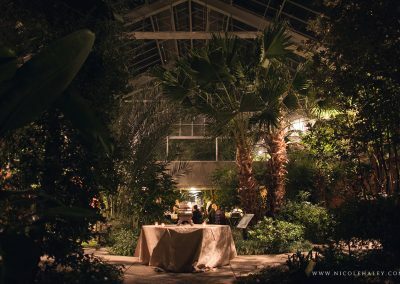 As the conservatory is the Gardens’ Crown Jewel it is open to the public from 10am until 8pm in the summer and 10am until 4:30pm in the winter, and is available for rent for ceremonies that begin at 5:30 pm. 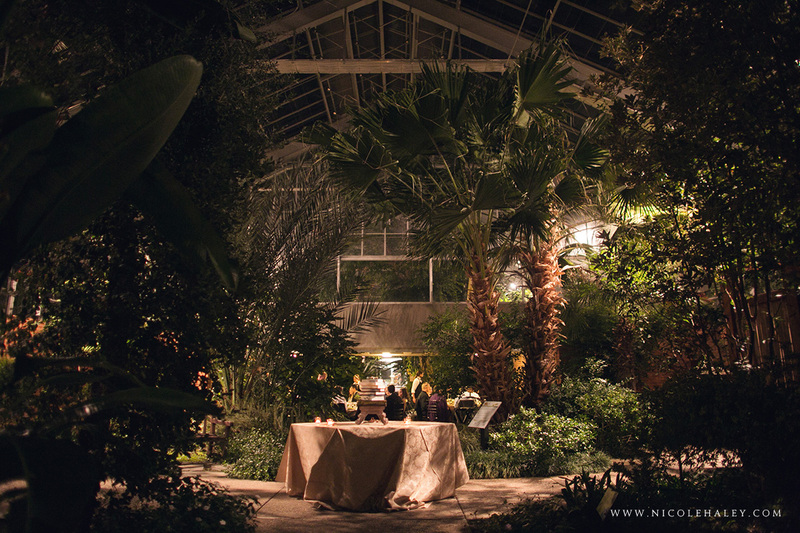 Ideal for smaller wedding parties or a romantic evening wedding, the conservatory is floodlit at night. 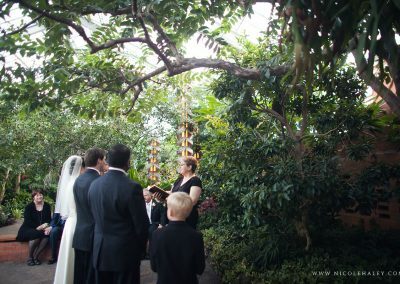 Available for indoor ceremonies nine months out of the year, it is a fantastic contrast to the snow in winter or fall colors. 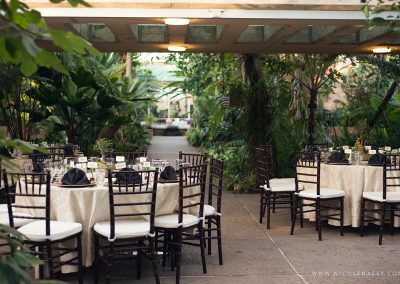 Depending on the time of year, fragrant flowers such as Jasmine or gardenias may fill the conservatory with heavenly scent.